We’ve all seen Bluetooth speakers that could charge the device they were streaming from, but the $129.99 TYLT Block Party is the first one that has a 20,000 mAh battery with four 2A USB ports so that more than one person can get in on the charging action. The speaker on top detaches when needed, getting up to four hours of music playback on its own. 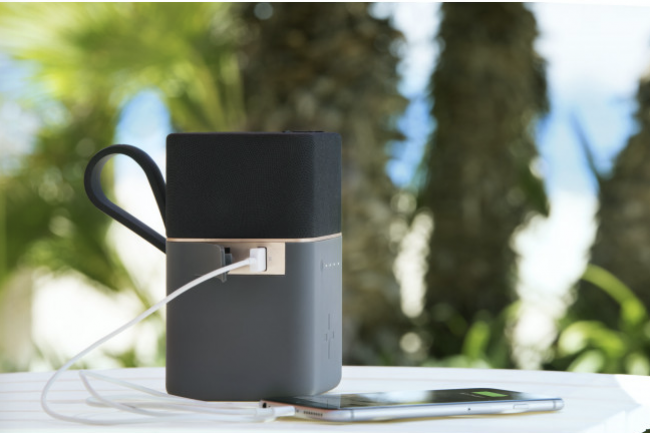 When on its charging base, the speaker can get up to 72 hours of music playback! The TYLT Block Party is water-resistant, so it’s just the thing for Dad to bring to the beach or pool, and there’s even a convenient carry handle on the side for toting it along. 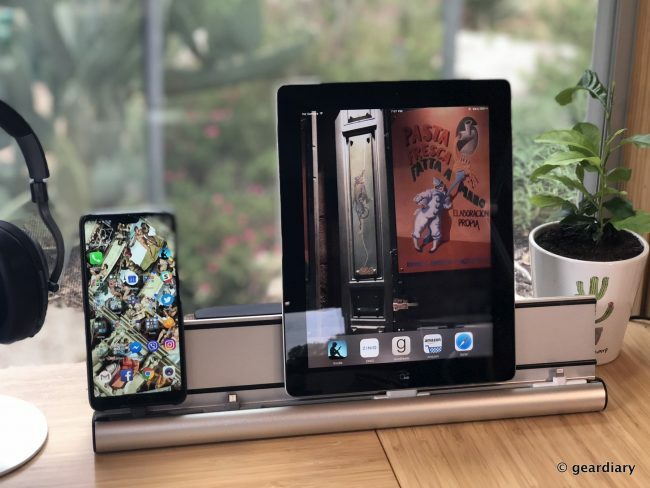 It also looks good enough that Dad will be happy to leave it sitting around at home or in the office — perfect for when someone needs to mooch a charge. Dad loves to see pictures of his kids and grandkids, and what better way to make sure that he stays up to date than with a $399 Aura Quartz Frame? The Quartz Frame has a beautiful 9.7″ (1536×2048) LED-backlit display; it features unlimited photo sharing, and it can handle all of your photos without any subscription fees. The Quartz Frame automatically dims or brightens depending on the light in Dad’s room, and it will even automatically go to sleep when all the room’s lights are out. You can add photos to the frame at any time through the app which also allows you to link to and add photos from your Google Photos account. All that’s required to make it work is an Android or iOS device running the Aura app and an active WiFi connection at Dad’s home or office. 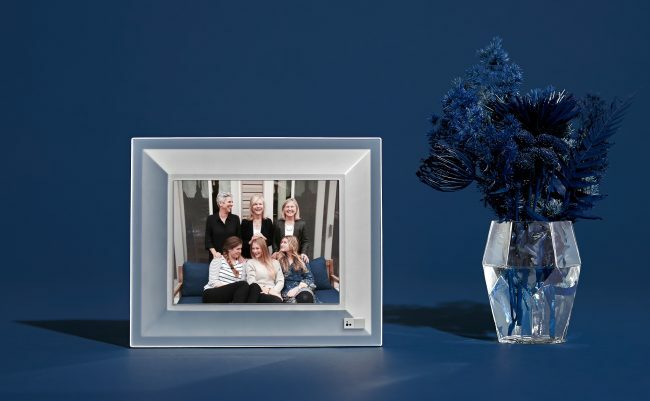 The frames are even available in four different finishes to match Dad’s style! If Dad travels to China frequently, then he has probably run into some of the state-blocked restrictions on sites that we take for granted here — like Twitter, YouTube, and Gmail. The $89 Butterfly VPN is a slightly larger than a normal thumb drive that plugs into the USB port on his laptop. With it inserted, he can surf all of your favorite sites without restriction; he can even share his unrestricted access with up to five different devices. Butterfly VPN is small, light, and perfect for frequent travelers! If Dad has a lot of devices he needs to keep charged each night (and let’s face it, of course, he does), then he will absolutely love the sleek and stylish utility offered by the aluminum udoq400. You can customize Dad’s udoq400 to charge the devices he owns, and if his operating system preferences change in the future, he’ll be able to upgrade his udoq with new docking cables. The udoq400 starts at $115; with four cables it runs around $150 – $170, and there are additional options like a USB hub, the CboxS which hides all the USB cables, and even an Apple watch charger. The udoq400 looks good in any room, and it is something that will always be handy.